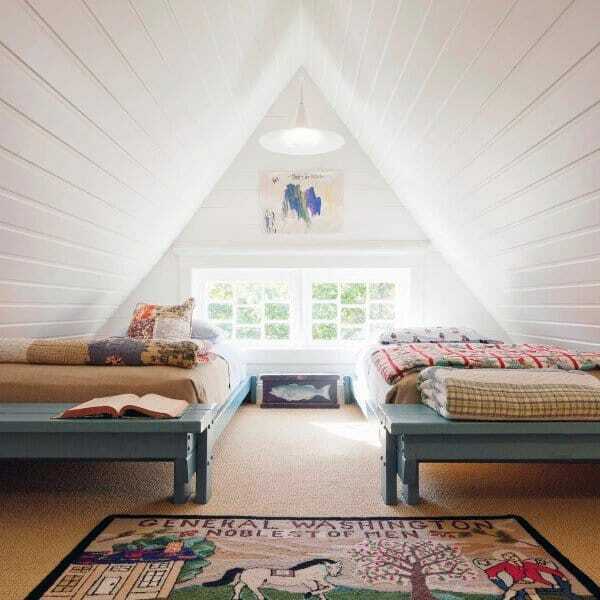 As children we looked up to the attic as a place of mystery and infinite possibility. 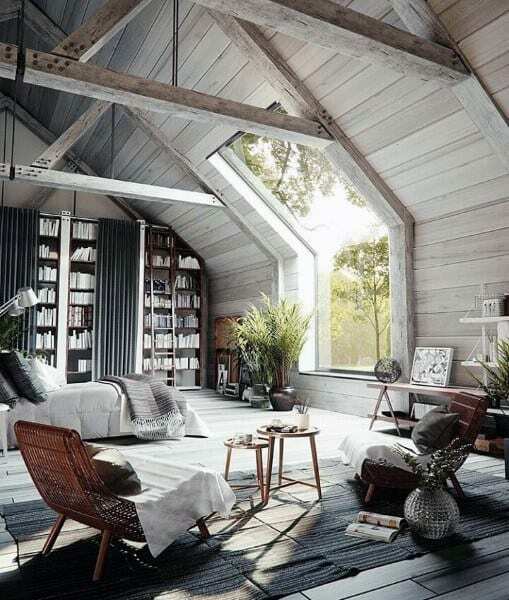 Who knew what lay within those cobwebbed boxes and among the discarded familial memorabilia, what secrets and treasures were ours to unlock? 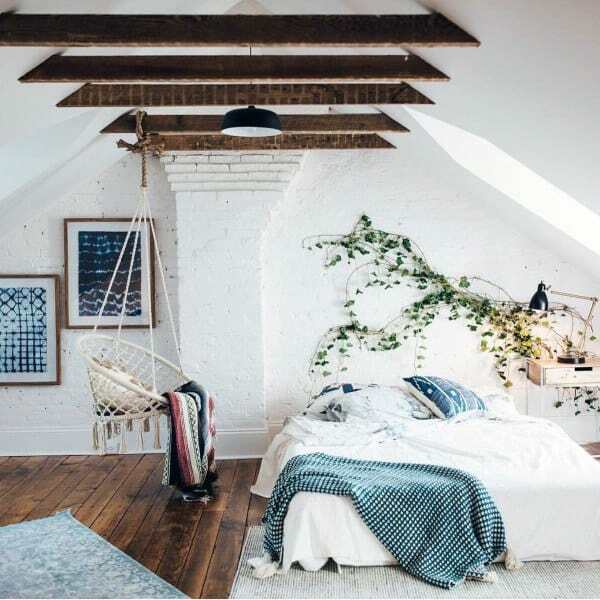 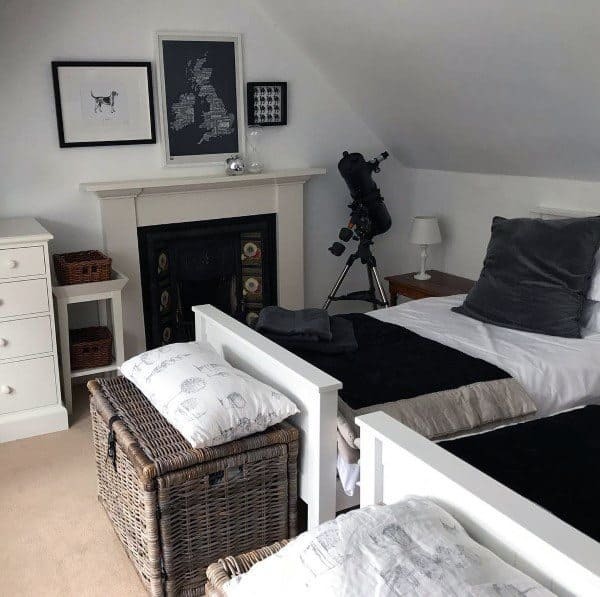 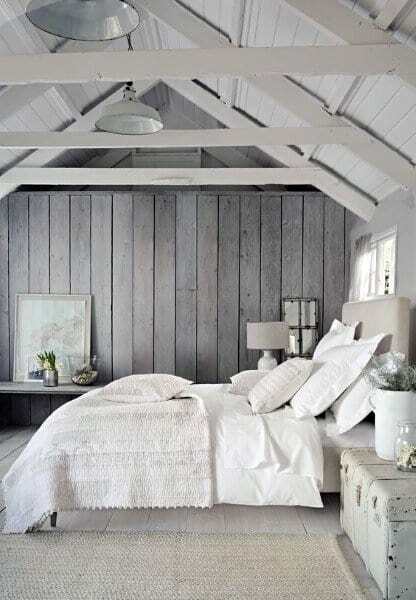 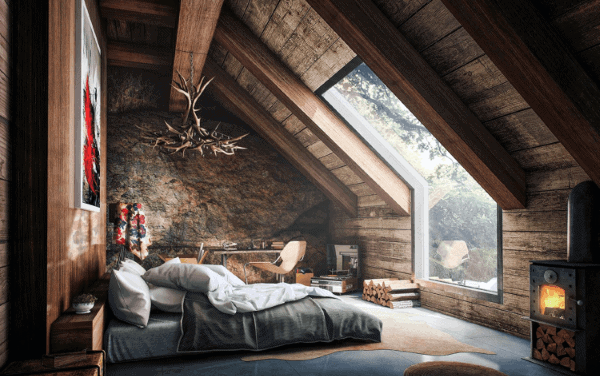 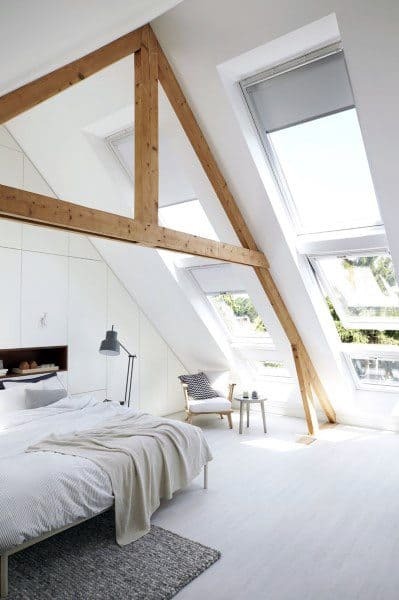 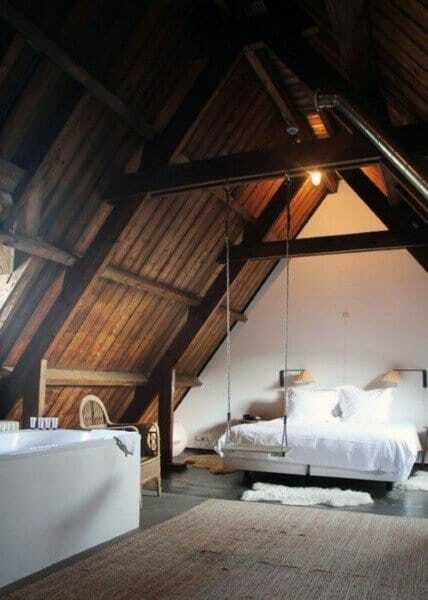 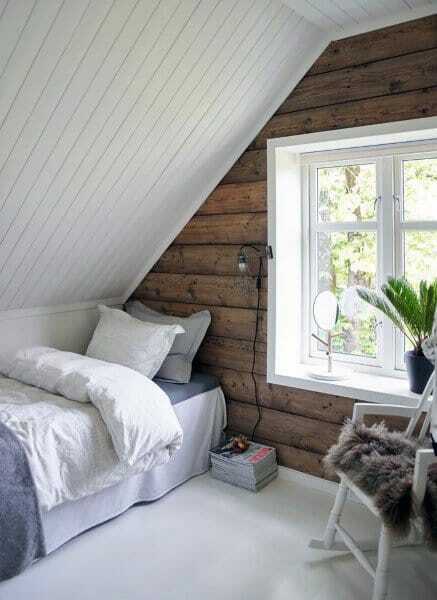 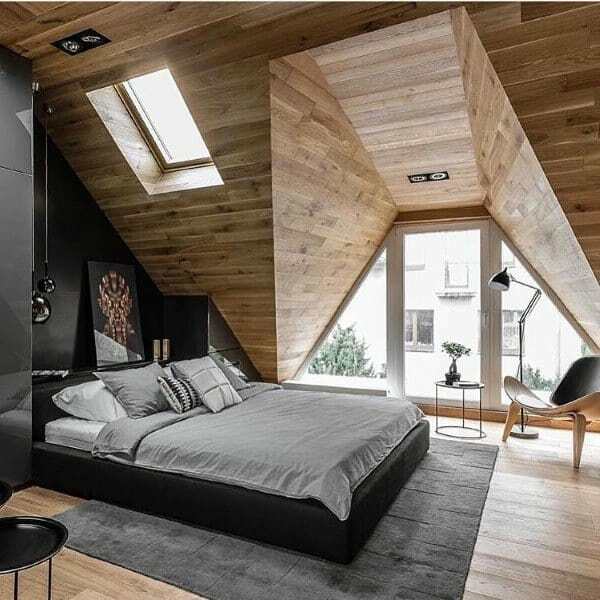 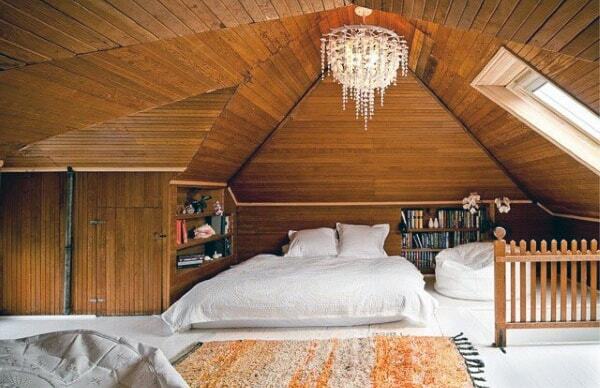 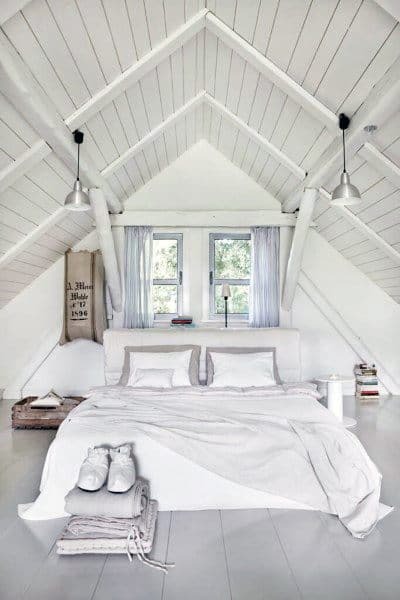 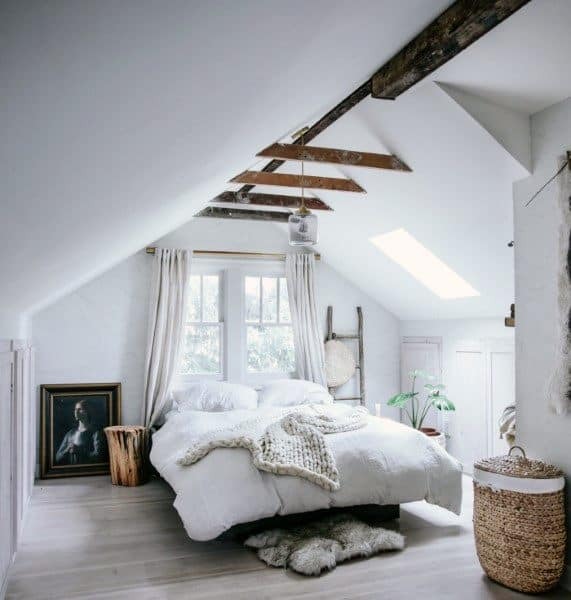 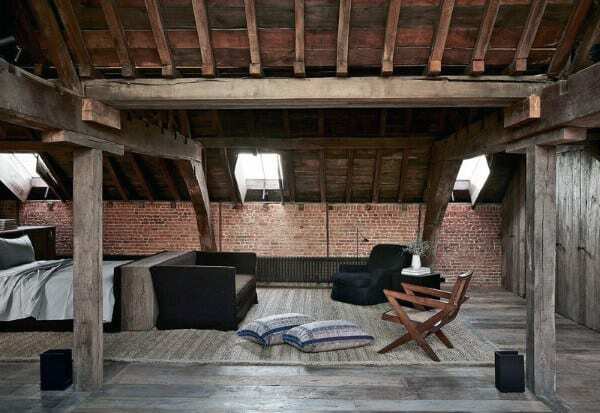 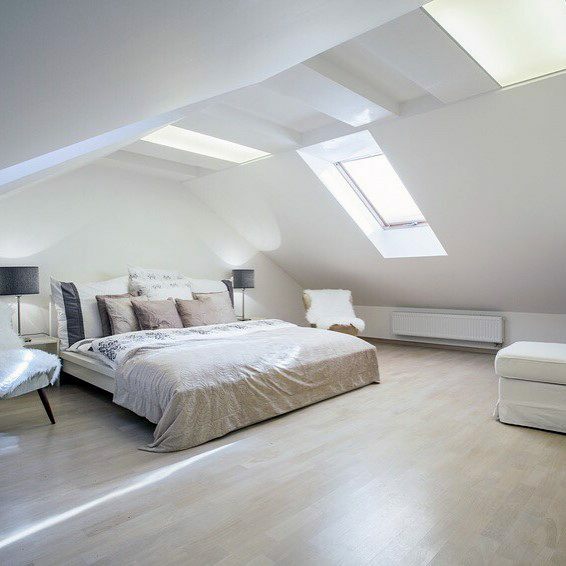 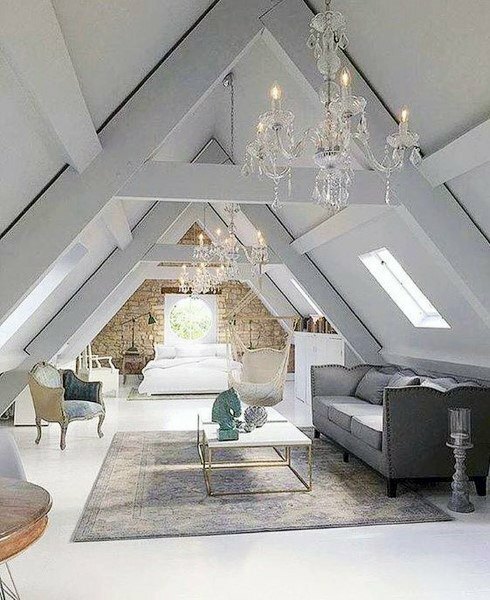 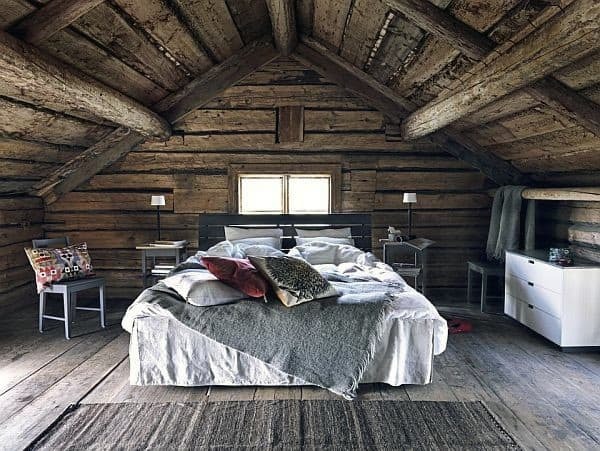 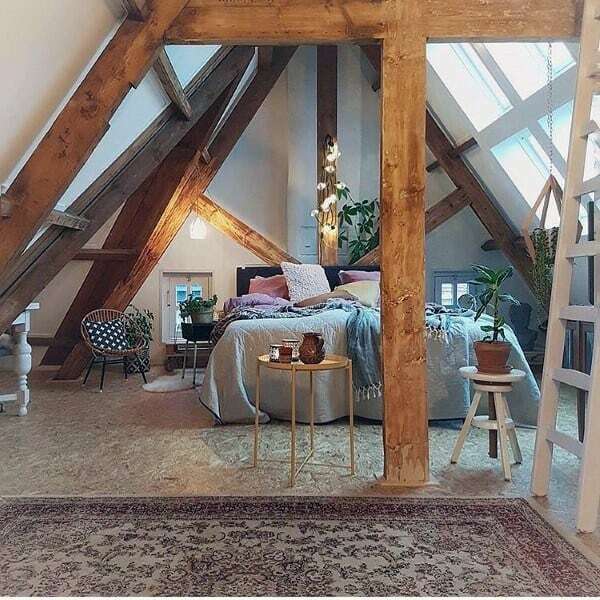 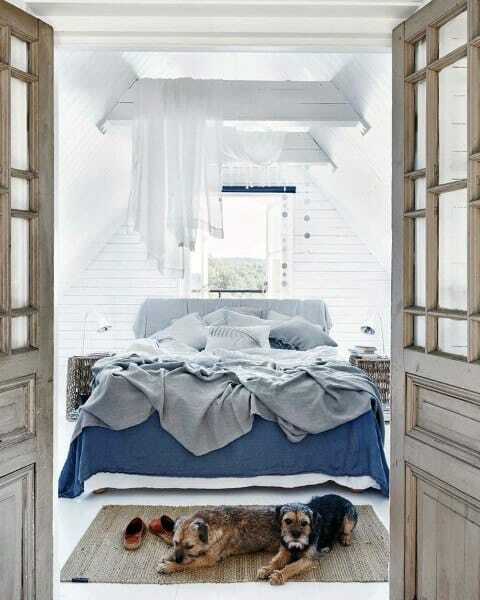 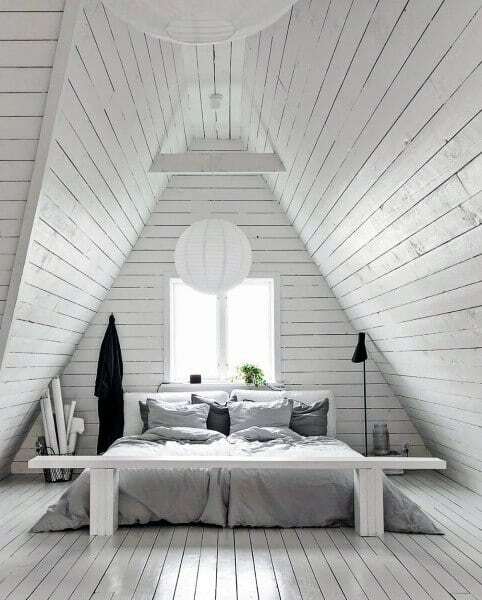 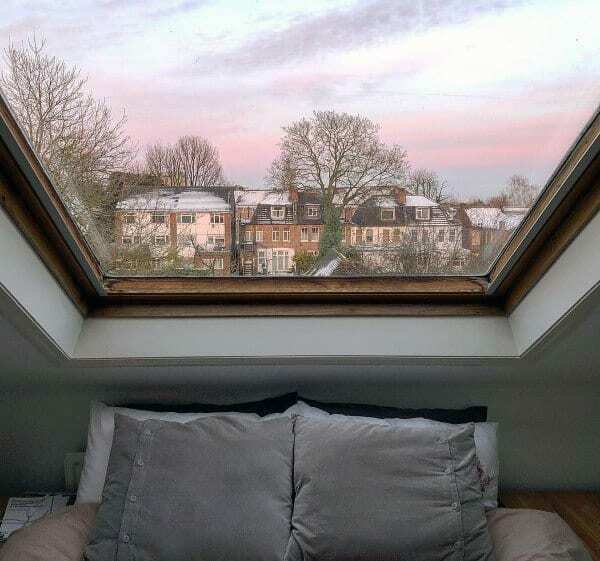 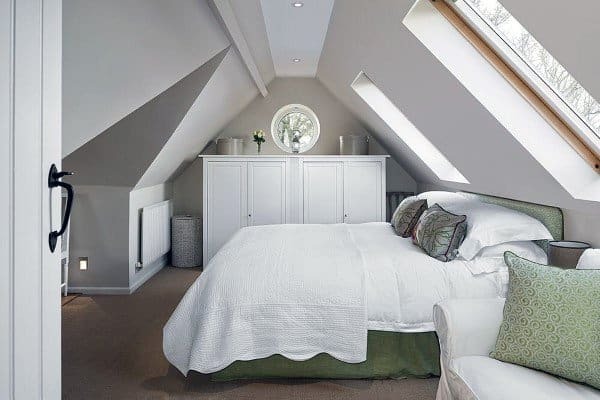 While me may have abandoned such intrigue to the days of childhood fancy, the attic has no doubt retained its allure and comforting confines, making it the perfect bedroom abode for the adult with a penchant for exclusive solitary havens. 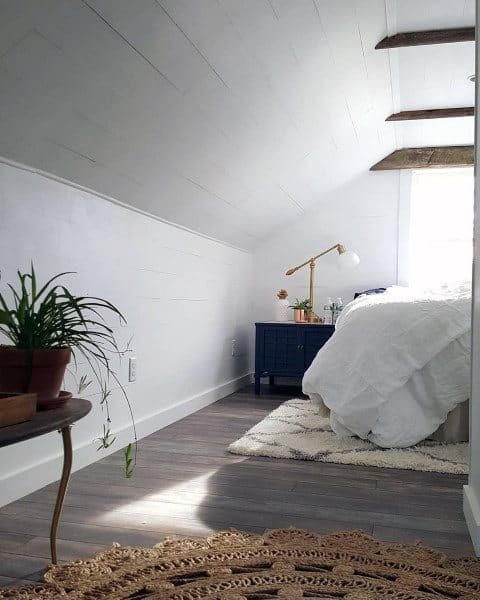 Open or intimate, bright or dimly woodsy, the attic is truly a canvas awaiting your unique vision. 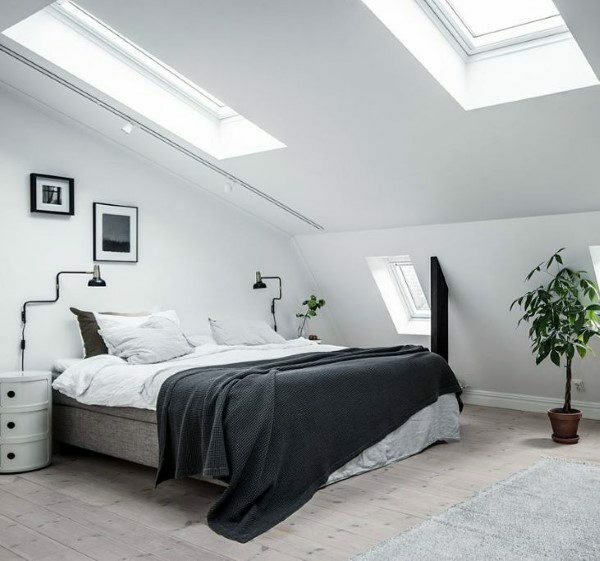 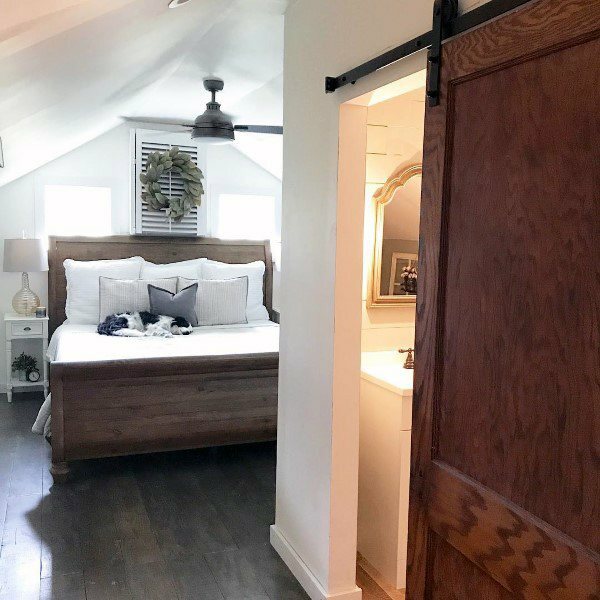 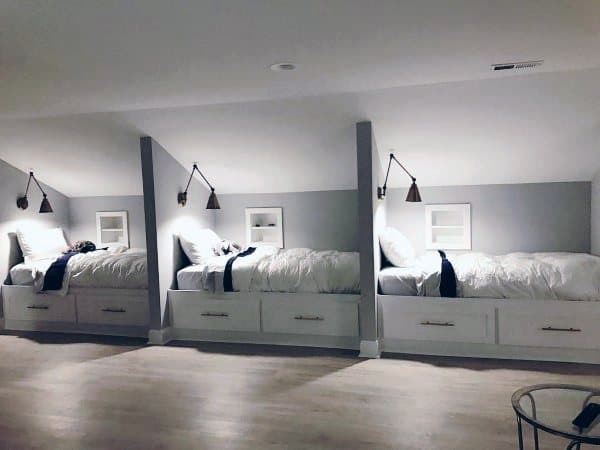 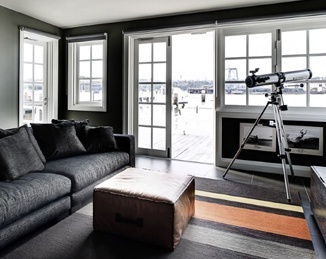 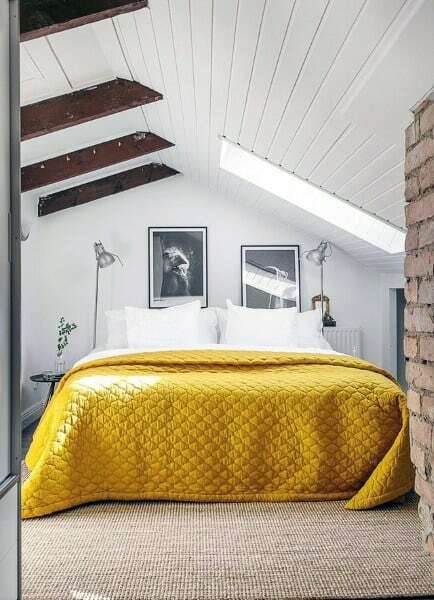 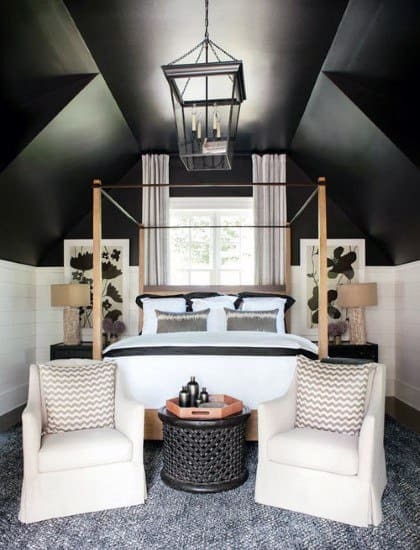 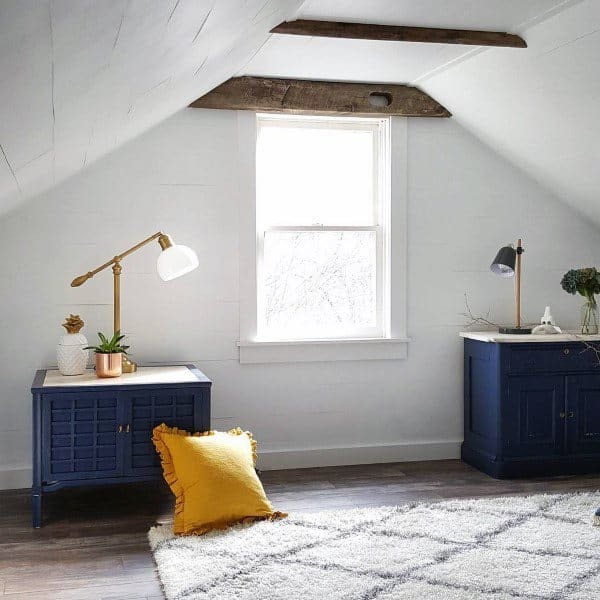 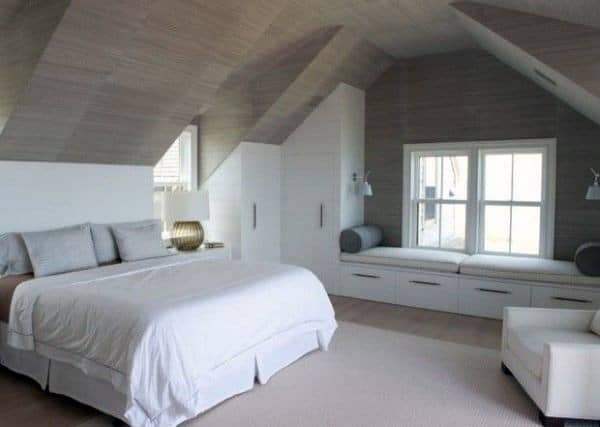 From lived-in farmhouse familiarity to the sleek vibes of a chic metropolitan loft, the attic bedroom provides ample space and endless potential, with no inspiration too impossible to tangibly realize. 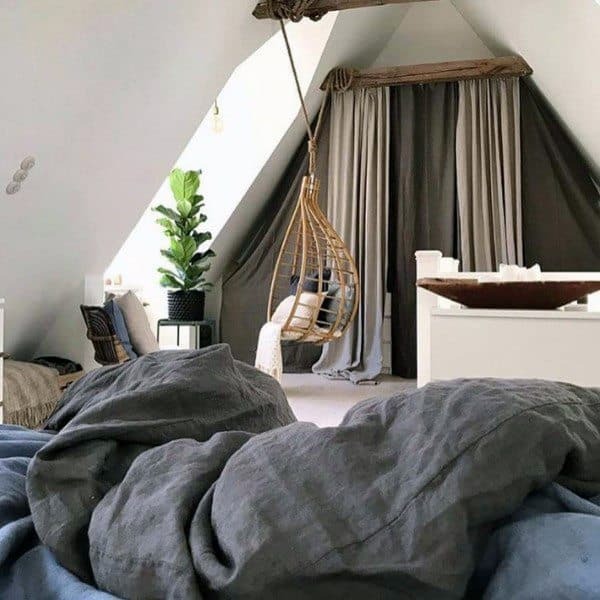 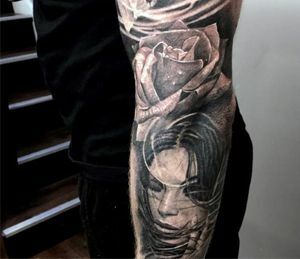 Whether you prefer simplicity or a more conceptual theme, there is no limit to the attic’s promise, just as it seemed in your childhood explorations. 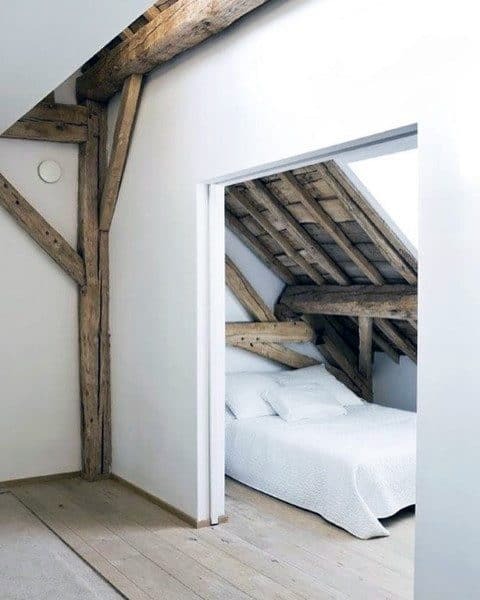 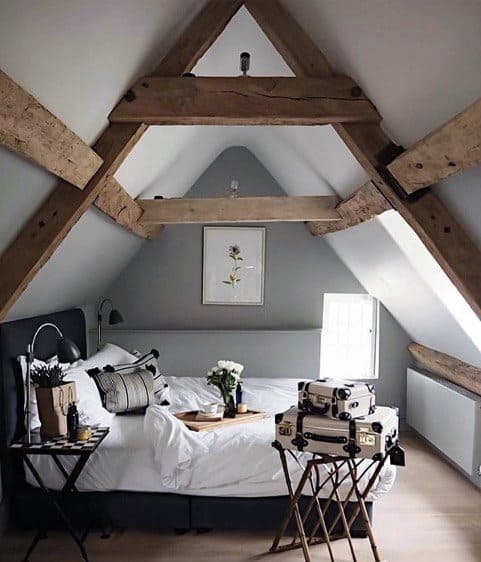 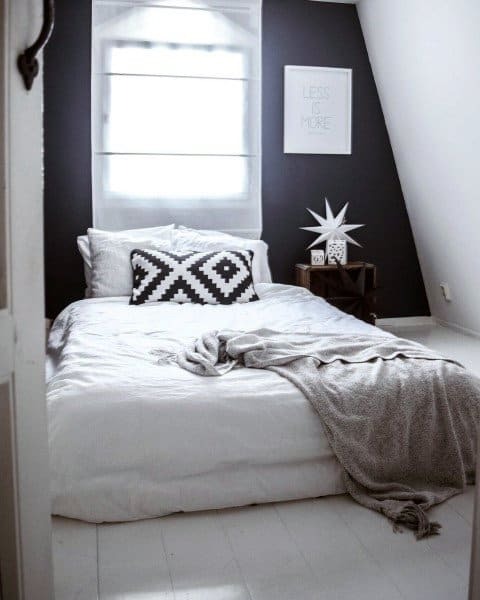 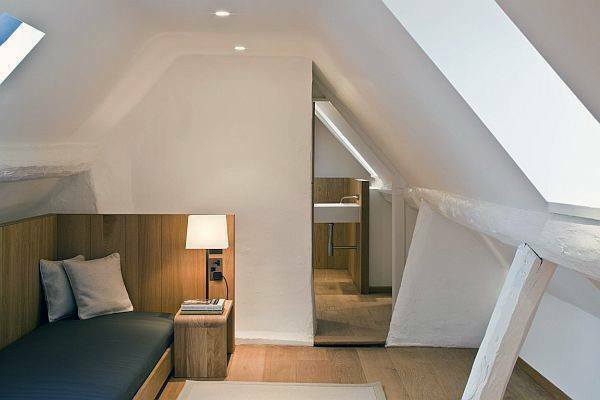 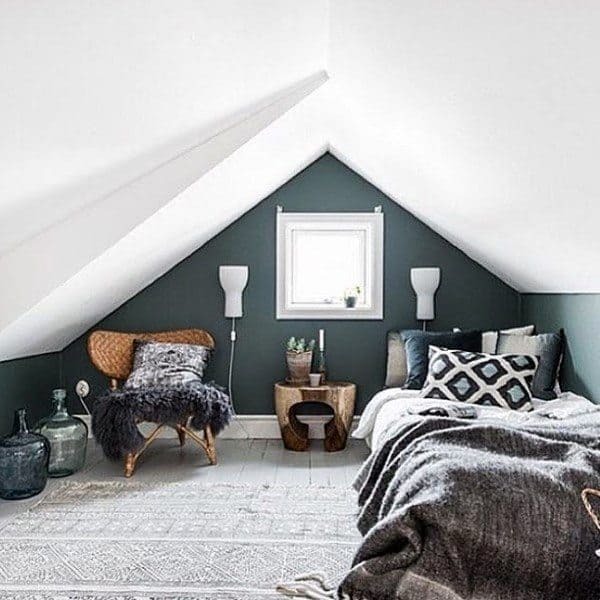 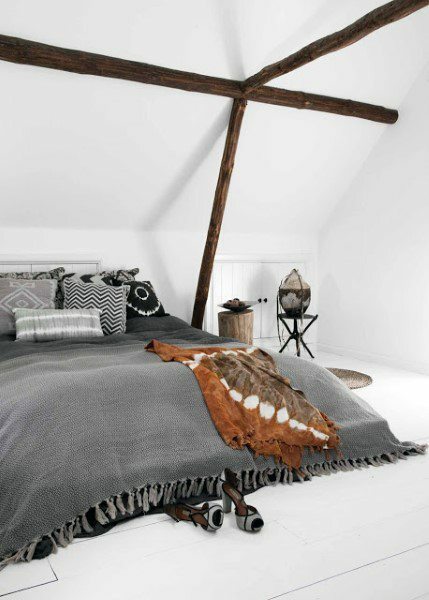 Wood, stone, wallpaper, and countless textiles are just a few of the attic bedroom’s magic tools; the place where you lay your head is ultimately in your hands. 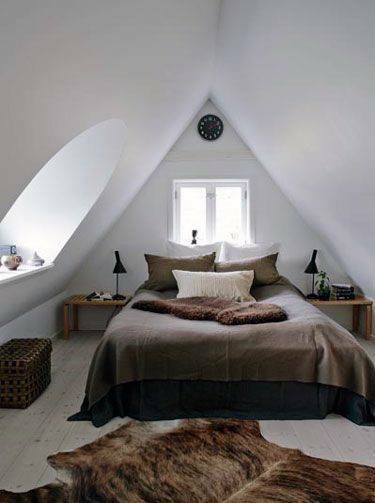 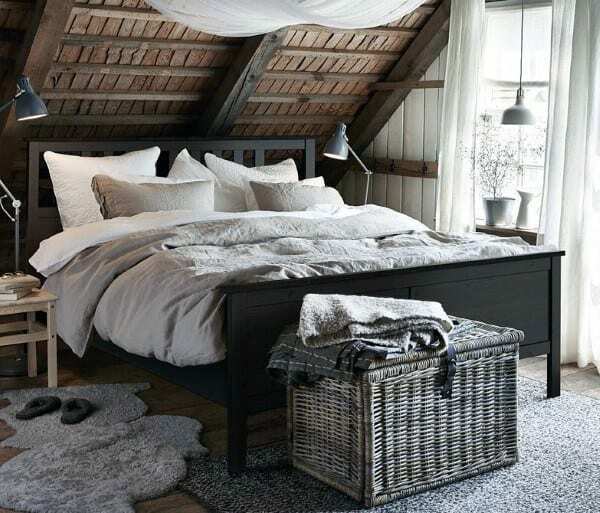 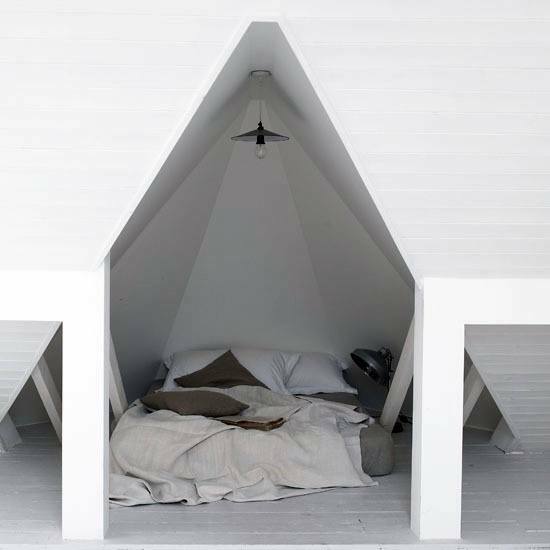 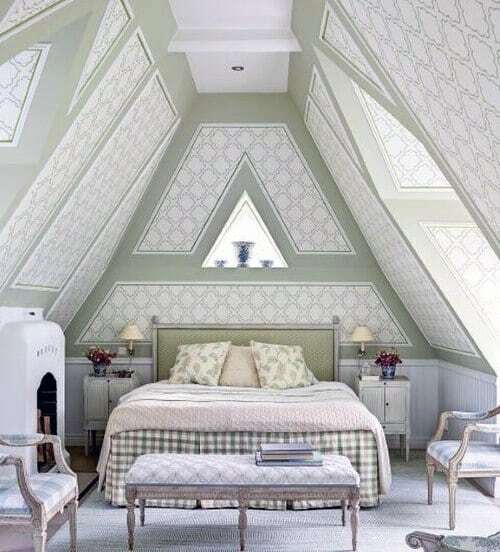 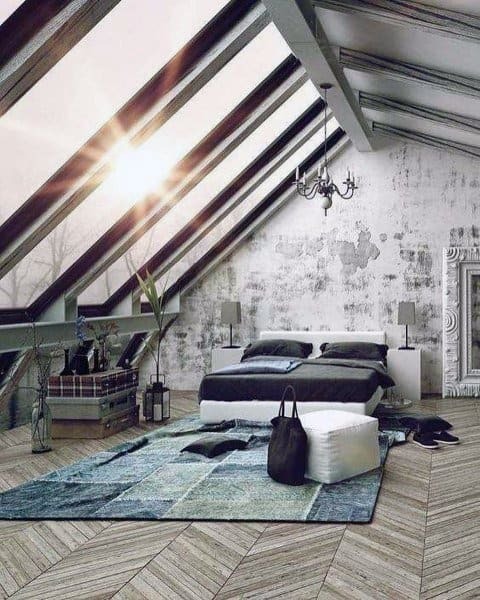 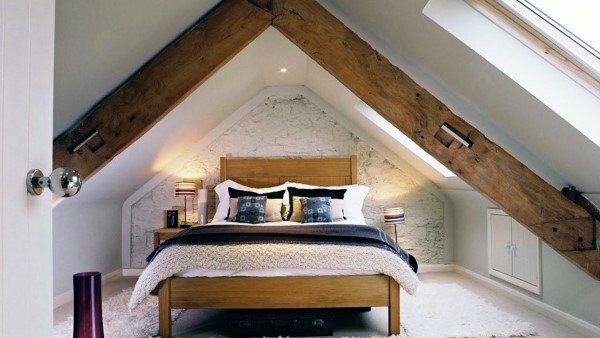 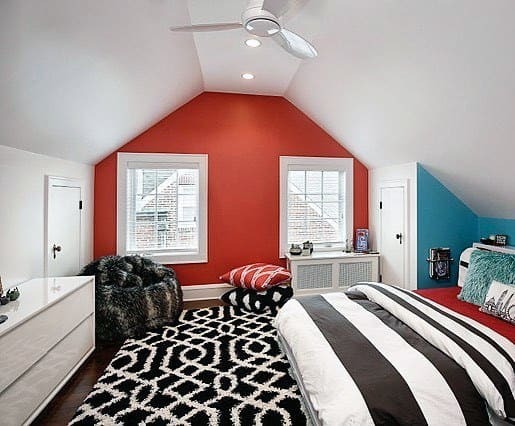 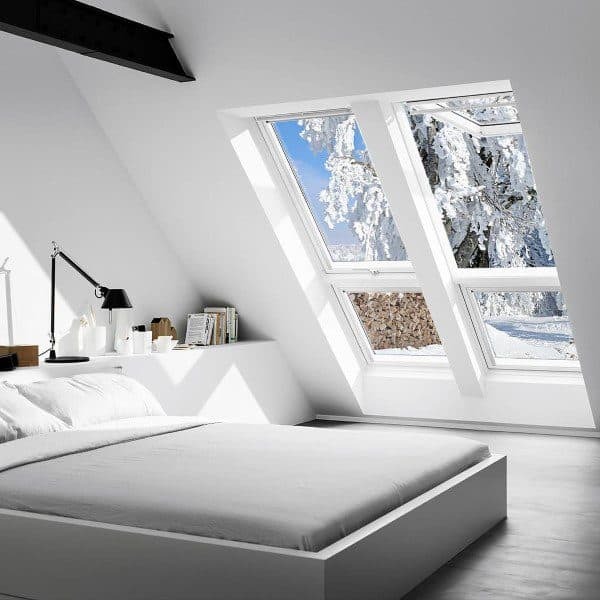 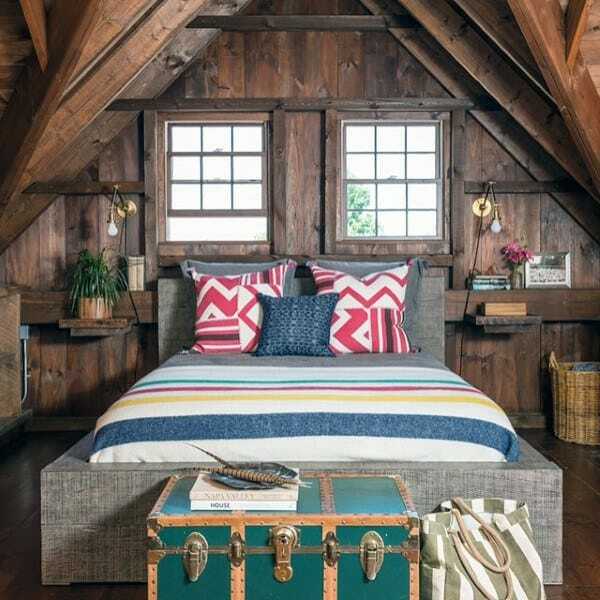 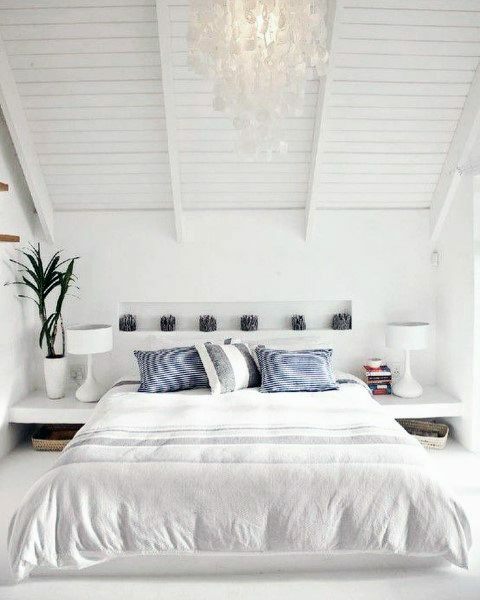 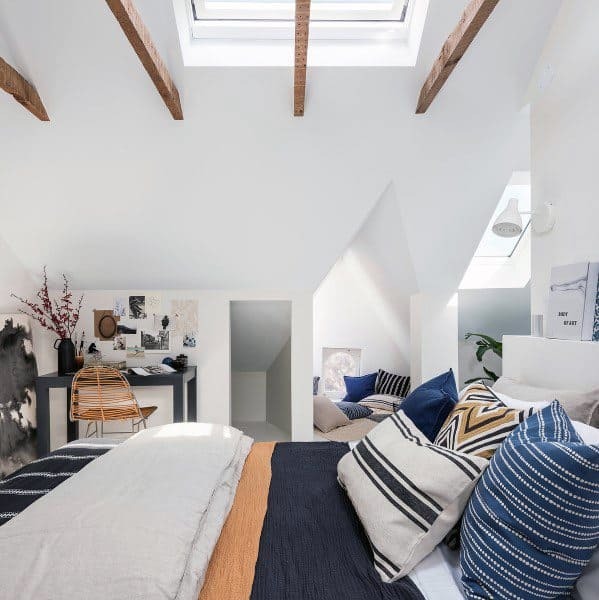 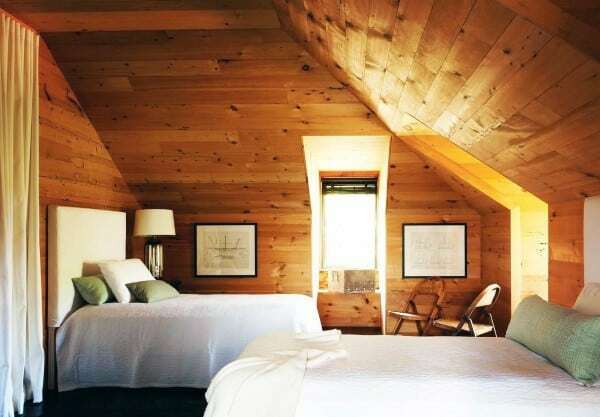 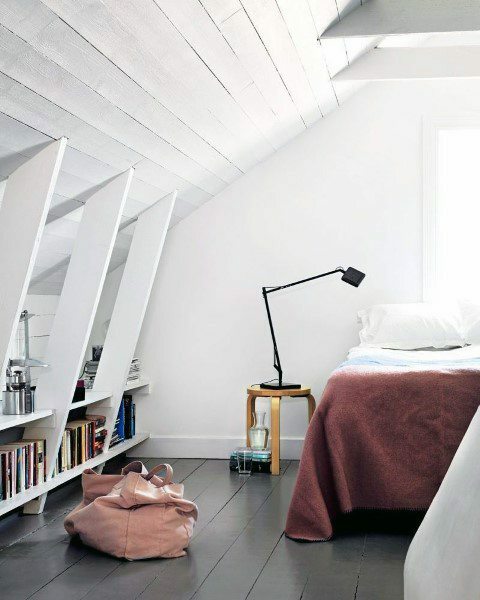 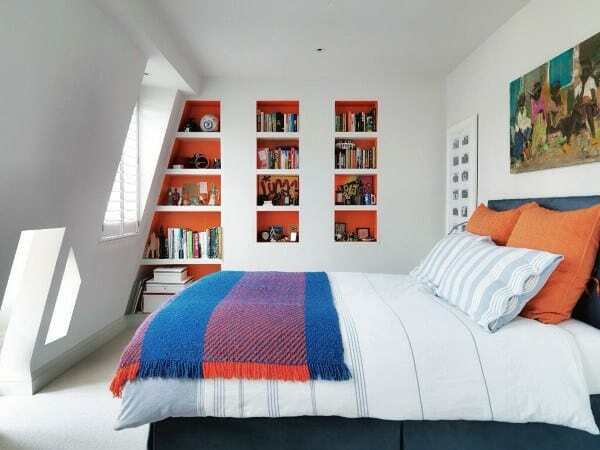 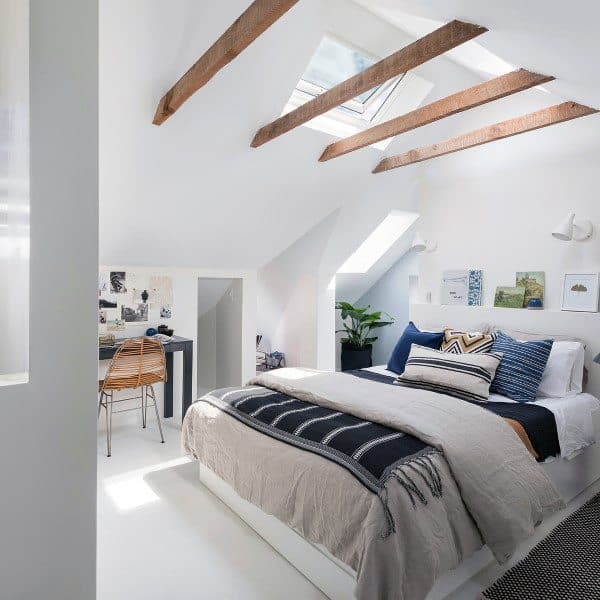 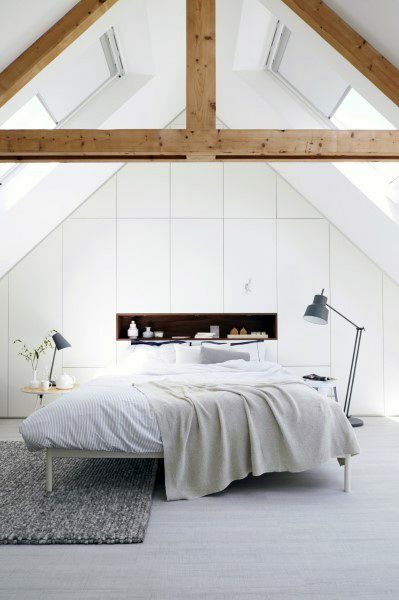 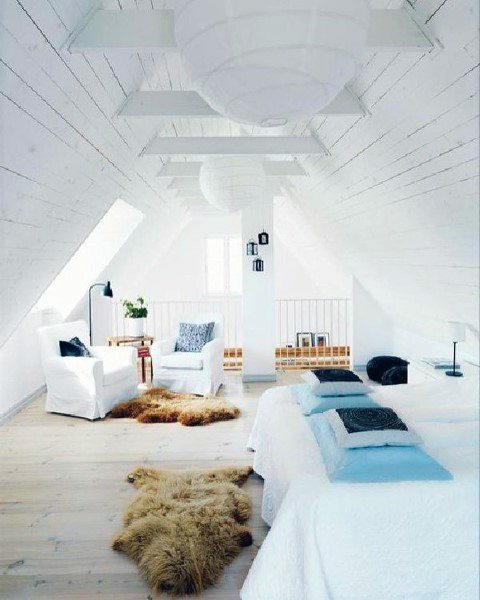 Perfect for a master bedroom or charming guest suite, these cool attic bedroom ideas promise privacy and unmatched originality. 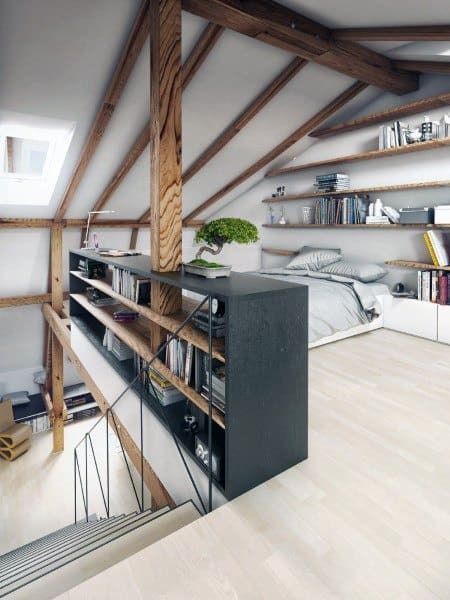 Why relegate this wonderful space to a dusty (and sometimes spooky) storage capacity, when it can be lived and dreamed in day in and day out? 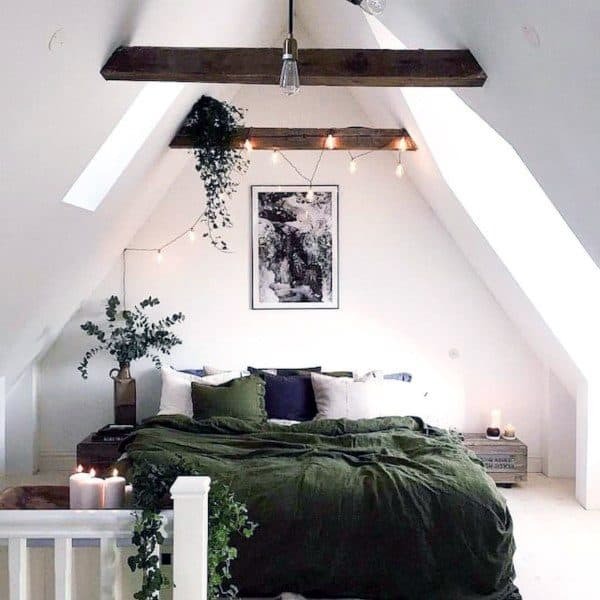 Now is the perfect time to ascend and asses your own attic space, for your own midsummer night’s dream is just a season away.